The North Island’s Northland is, unsurprisingly, the most northerly bit of New Zealand. It’s also the bit with some of the best weather and some of the best beaches. There are plenty of pristine and perfectly empty beaches here, but also plenty that have been well developed to cater for families on holidays or people who’re looking for some watery thrills and spills. The best places to stay in Northland range from family beach resorts to remote lodges in the lushly green and beautiful interior. There are also a number of settlements in or on the Bay of Islands, but the best places to stay seem to be largely grouped around historic Russell or unspoiled and beach-y Paihia. The east coast of Northland has been a popular holiday destination for a long time, but the west coast is just starting to be appreciated. There isn’t a lot here apart from breathtaking coastal scenery and vast trees with trunks measuring eight metres around. The west coast has the Koutu and Wairere Boulders, a collection of vast basalt boulders, and the sand dunes of Hokianga. On this side you’ll find the spectacular ancient Tane Mahuta kauri tree forests lining the conveniently named Kauri Coast. There are plenty of nice townships and little ports along both coasts, but the centres are small and they’re more for refueling and passing through. Though there are lots of interesting little museums and interesting local histories to uncover as well as spectacular scenery to be admired. In the far north of Northland you’ll find the beautiful Bay of Islands, a superb turquoise bay dotted with around 150 islands, the vast majority of them undeveloped and uninhabited. As with any popular beach destinations, the best places to stay in Northland can get exceptionally busy during the peak holiday periods, so get organised and book early. 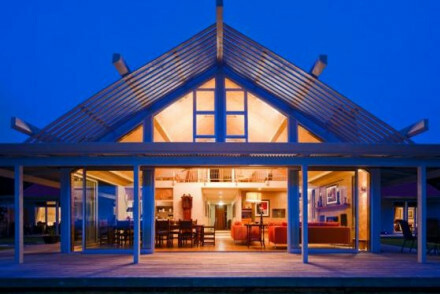 The Wai Hou Oma Lodge is a luxury lodge set in seven acres of gardens and orchards, just minutes from the Kai Iwi Lakes which is a haven for watersports enthusiasts. There are four separate lodges each sleeping up to six people with kitchen and dining facilities. Breakfast is included and you can also have your meals prepared onsite for you. The Paradise View Coastal Lodge & Retreat sleeps six people and separate Keeper's Cottage which sleeps two with full kitchen, dining and laundry facilities. An in house chef prepares tailored menus using fresh ingredients grown on five acre property. With spa and outdoor salt water pool. Perfect for families and groups. 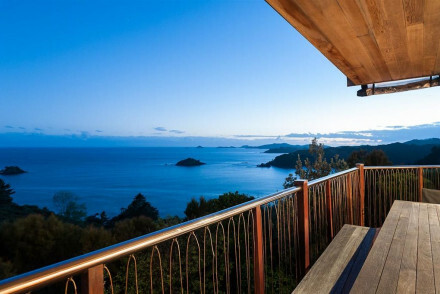 At the very top of Northland is the Huntaway Lodge, a luxurious lodge with views of the Pacific, an outdoor spa and landscaped gardens. There’s an eco-element to the accommodation with ethically sourced food and local, organic toiletries etc.. 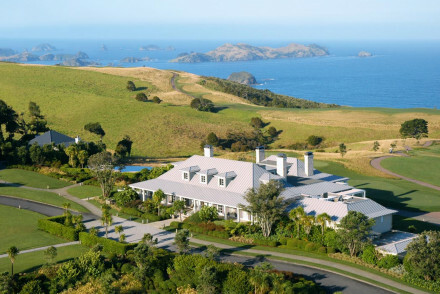 The Lodge at Kauri Cliffs is a country manor turned luxury hotel with spacious suites, walk in wardrobes, fireplaces and panoramic Pacific Ocean views. Pampering day spa in native Totara forest, tennis courts, infinity pool, private beaches and championship golf course. Ideal for a romantic getaway and local exploring. If you'd prefer your own space, don't hesitate to visit our online partner Booking.com for a variety of properties throughout the region. Fly to Auckland Airport located approximately 180km (111 miles) from Whangarei with a large range of International and Domestic connections - including to smaller airports in Northland. There are also a number of bus companies that operate to and from Northland, which can be great value for those on a budget. Best time to visit - the summer months from December to February typically provide warm weather, ideal for relaxing on the beaches or exploring the countryside. Alternatively you can widen your search by checking out all our North Island recommendations. 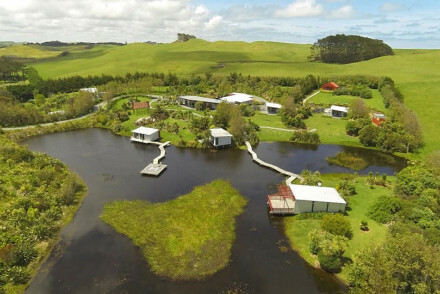 Luxury lodge set in 7 acres of gardens and orchards only minutes from water sport haven Kai Iwi Lakes. Four separate lodges sleeping up to 6 people, with kitchen and dining facilities. Breakfast included, and additional meals prepared with fresh produce such as vegetables grown on site. Contemporary, bright, comfortable luxury Lodge with Pacific Ocean views to the Cavalli Islands. Food ethically sourced, seasonal and local, organic toiletries and commitment to sustainable practices. With outdoor spa pool and landscaped gardens. Great for a country escape. Luxury Lodge sleeping six people and separate Keeper's Cottage sleeping two, with full kitchen, dining and laundry facilities. In house chef prepares tailored menus using fresh ingredients grown on five acre property. With spa and outdoor salt water pool. Perfect for families and groups. Country manor turned luxury hotel with spacious suites, walk in wardrobes, fireplaces and panoramic Pacific Ocean views. Pampering day spa in native Totara forest, tennis courts, infinity pool, private beaches and championship golf course. Ideal for a romantic getaway and local exploring.